Last night, I found myself completely lost in the 1900's. I was searching for the right paper to use for a project the other night and the antique book of postcards we inherited fell literally out of the cabinet and into my lap. I set it aside for the right moment that I could sit and gingerly turn every page (without the help of my almost 3 year old). Finally last night I was able to indulge! Here is a picture of the first Zola and Mack with their horse "Fairy". My daughter and oldest son are named after their Great Grandma (pictured on the horse) and their great Uncle. Priceless right? And here's crafting circa 1900. How sweet. 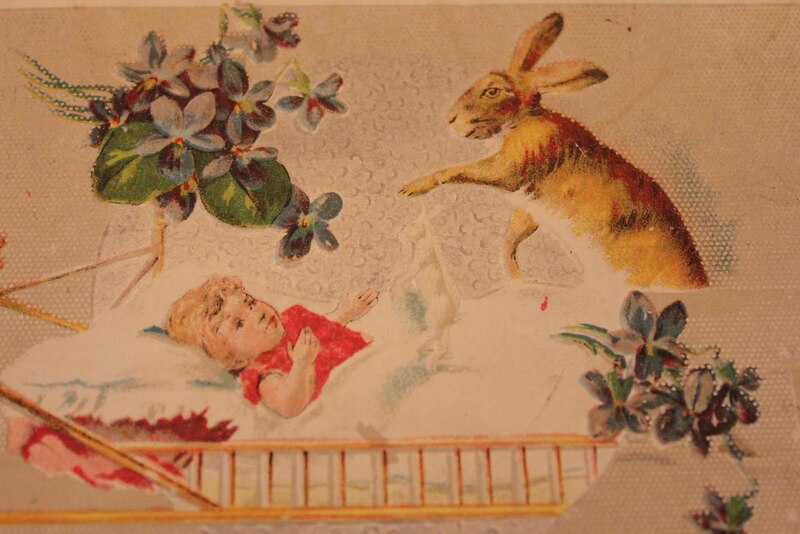 And there were many charming images like this kept so carefully for so many years inside the Postcard Book. Just wanted to share one of my antique treasures. I guess it's time to plug in my glue gun and move back to 2011. We'd love to see pictures of your nostalgic treasures and of course the stories behind them!